The modus team has been working alongside Hollymount Primary School, previously known as Gorse Hill Primary, in Worcestershire, to design and print their new prospectus for parents of future pupils. 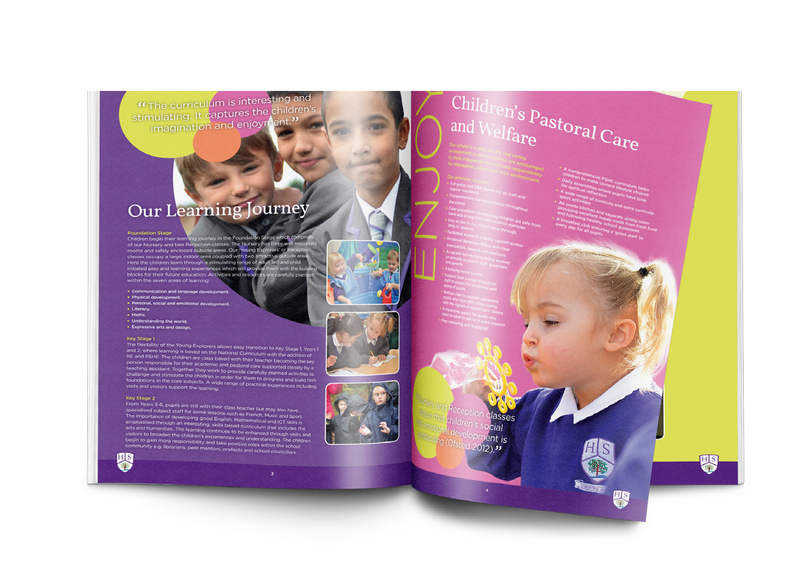 The brief received from Headteacher, Vivian Cranton, asked modus to create a fresh and reader friendly prospectus which would demonstrate their flourishing ambitions. Their Broad, balanced and varied curriculum aims to build self-esteem and confidence in their pupils by broadening their experiences and challenging their skills. They wanted their first prospectus as Hollymount to represent these core values and help to establish them as leading primary education provider in Worcester. modus digital are now working to give Hollymount a complete renovation with a brand new user and child friendly website that is a long easier for staff, pupils and parents to interact with. keep an eye out for an update to see the innovative and modern website at work.